Charles C. Smith, known by many as Charlie, was born in Paris, Texas. He grew up on the chalks of the Cretaceous of East Texas and was destined to be a geologist. He attended grade school, high school, and college in Texas. Charlie received his B.S. in geology from the University of Texas at Austin in 1963 where he learned from the legends in our profession. He was awarded his M. S. in Geology in 1967 from the University of Houston where he studied under Harvey Blatt and Rainey Rainwater, giants in sedimentary geology and stratigraphy, and began his studies in his adopted state of Alabama. His thesis research on the foraminifera of the Paleocene Ostrea thirsæ beds of the Nanafalia Formation, Wilcox Group, west-central Alabama was a harbinger of the major contributions he would make to understanding the geology of the Alabama Coastal Plain. In 1973, he earned his Ph.D. in Geology from the University of Texas where he worked with Emile A. Pessagno, Jr., one of the foremost microfossil experts in the world. His dissertation research marked a milestone in the study of Gulf Coastal Plain strata. This research represents one of the earliest works of integrating several fossil groups (calcareous nannoplankton, foraminifera, and mollusks) for high-resolution biostratigraphic correlation in the Gulf Coastal Plain and the global correlation of Gulf Coastal Plain stratigraphic units to their contemporary equivalents in Europe. This is a trademark of Charlies, which he would use and refine throughout his career. Charlies professional career and graduate studies are finely interwoven and his approach to the study of geology is a result of this resulting fabric. He is blessed with the ability to not only ask the key scientific questions, but he is also able to find a reasonable answer and to articulate it in common sense terms so that the results can be used by those not skilled with his expertise. I believe this gift along with his affability and his desire to teach others about the science of geology are the qualities that define Charles Smith the scientist. Charlie began his professional career with Tenneco Oil Company in 1962 as a laboratory technician and quickly advanced to micropaleontologist for the Gulf Coast Region. While with Tenneco, he commenced and completed his M.S. degree. In 1969, he began his Ph.D. graduate studies and upon graduation in 1973 joined Phillips Petroleum Company as a Research Paleontologist. In 1974, Charlie started his tenure as a micropaleontologist at the Museum of Natural History with the United States Geological Survey. This was the golden age of coastal plain stratigraphy and paleontology at the USGS, and Charlie had the opportunity to work with and learn from USGS giants in the field, especially Norm Sohl, Joe Hazel, Tom Gibson, Wylie Poag, and Juergen Reinhardt. Thirty-six joint and interdisciplinary publications resulted, focusing on high-resolution biostratigraphy of Atlantic and Gulf Coastal Plain geology. These works today still represent the basic body of knowledge for understanding the stratigraphy and biostratigraphy of Atlantic and Gulf Coast strata. Charlie accomplished another significant achievement during his watch at the USGS. This contribution was the monumental undertaking of archiving the surface exposures of Upper Cretaceous strata along the Tombigbee River from Amory, Mississippi to Demopolis, Alabama, some 225 miles of riverbanks. Why undertake this project? Because the Tenn-Tom Waterway Project was being completed and the Tombigbee River would never again be the same. These classic outcrops would be flooded and/or overgrown, never to be seen in their splendor as documented by the early Coastal Plain workers, and the potential scientific contributions resulting from future study of these deposits would never be made due to the loss of important data from these river exposures. Well, Charlie was not about to let this happen, for two reasons: (1) because of the loss to science and (2) because of the loss of outcrops which had grown over the years to be quite proud of for their quality of exposure and fossil preservation. He considered these outcrops as some of the best Upper Cretaceous exposures in the world. He convinced the USGS and U. S. Corps of Engineers to provide him support for three years to survey, sample and archive these exposures. Today, the only archived record with samples for these historic outcrops is available from Charlie at the Geological Survey of Alabama. He also continued his dedication to teaching, while at the USGS, by teaching paleontology at George Washington University. In 1982, he again joined Tenneco Oil Company as a Senior Specialist in Micropaleontology and Biostratigraphy. The Geological Survey of Alabama was fortunate in 1987 to persuade Charlie to join the staff of the Survey where he continues today to make significant contributions to the citizens of Alabama. He served as Senior Paleontologist for Unocal Corporation from 1990-92 on a two-year leave from the Survey. His contributions and achievements at the Alabama Survey are many. During his career, he has published 124 papers and abstracts; over 75% address questions concerning the geology of Alabama. At the Alabama Survey, he collaborated with Charles W. Copeland to continue the tradition started by Lyman Toulmin and Philip LaMoreaux, the latter of whom Charlie credits with inspiring him to work in Alabama, and assist in building one of the best applied Coastal Plain stratigraphic and paleontologic state survey research programs in the country. 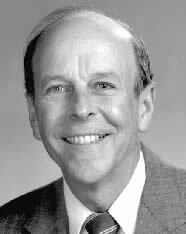 Two of Charlies major contributions to the Alabama Survey and the State are: (1) his successful correlation of Alabama Gulf Coastal Plain stratigraphic units which was essential to the publication of an improved geologic map for the state in 1988 and (2) his current work of applying his knowledge of the complex stratigraphic relationships of Coastal Plain units in assisting cities and counties in Alabama to find adequate supplies of safe drinking water for Alabamians today and in the future. Charlie has served the Gulf Coast Section-SEPM, the Alabama Geological Society and his profession with enthusiasm and distinction. He has served GCS-SEPM as its Vice President (198889, 199091) and President (199495) and the AGS as its Vice President (199495) and President (1995present). He was President of the North American Micropaleontological Section-SEPM (198486) and is also a member of Southeastern Section-SEPM, Micropaleontological Society (Counselor in 197880), Cushman Foundation for Foraminiferal Research (Fellow), International Nannoplankton Association, Paleontological Research Institute, Paleontological Society, Houston Geological Society, Alabama Academy of Sciences and Sigma Xi. He has provided exceptional leadership to all these societies. Most noteworthy, however, has been his commitment to the Alabama Geological Society. He has guided the AGS through difficult times and, in spite of this adversity, has produced an increase in membership and an expansion and enhancement of Society activities that have contributed to professional growth for the membership. He has eagerly organized workshops and seminars for professionals to augment their professional skills, and he has facilitated the organization of field trips and workshops for schoolteachers and students to introduce them to the science of geology. He was instrumental in having the AGS sponsor the publication of a book on Alabama geology entitled, Lost Worlds in Alabama Rocks, which is designed to be a guide to the layperson about ancient life and landscapes of Alabama. He was recognized by the AGS in 2000 for his dedicated leadership and extraordinary service to the Society and for his outstanding contributions to further the understanding of the geology of the state with the award of the Alabama Geological Society Distinguished Service Award. Because of his exceptional enthusiasm for the science of geology, his eagerness and ability to share his knowledge of geology with others, his exemplary record of service to the GCSSEPM, AGS and the profession, and his quality publications on Coastal Plain geology, it is fitting that Charles Smith is recognized as an Honorary Member.